Why did you want to write It's Your World? When I was a kid, I loved the book 50 Simple Things Kids Can Do to Save the Earth and remember wishing there were books like it on other issues I cared about. A couple years ago, I realized there wasn’t a book (at least one I could find!) for kids today that talked about some of the big issues in our world, what’s being done and what kids could do to help make our world healthier, safer and more sustainable. This book is my attempt to do that. How long did it take for you to write It's Your World? I thought about this book a lot and did tons of research before I started writing, so all together it took about a year and a half. Which cause stands out to you the most? That’s a hard question for me to answer as I think all the challenges I talk about in the book are important (and there are many I don’t talk about in the book that are also important). Access to clean, safe drinking water is one thing I talk about in different parts of the book because it is so fundamental to improving health and fighting poverty and inequality. The hardest part was deciding which areas to focus on and then which inspiring stories and organizations to include. There are so many incredible people working so hard to make a positive difference, and while I knew I didn’t have space for every single one of them in my book, I wanted to include as many as I could. The best part of writing It’s Your World was the flipside of the hardest part – being able to feature such wonderful, inspiring people (particularly kids) and organizations and share their stories with my readers. Yes! We have a tiny Yorkshire terrier named Soren. She’s turning eight right after the book comes out (her birthday is September 18th). That’s another hard question for me to answer. I love so many animals—particularly dogs (like Soren! ), whales, elephants, giraffes and gorillas. Are your mom and dad proud of you for writing a book? I hope so! I’m very lucky to have parents who support me and encourage me to pursue my passions—which include writing It’s Your World. 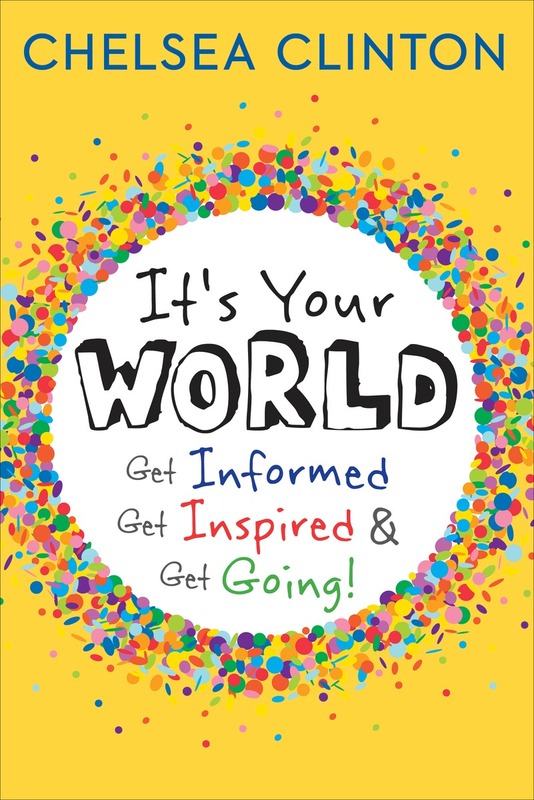 I decided on It’s Your World as a title because I wanted to convey, right from the start, that the world belongs to kids just as much as it does to adults, and maybe even more so to kids. I believe that if everyone who can, adults and kids, works together we can take care of our world and make it a healthier, brighter place to live. Who made the cover of your book? A wonderful jacket designer, Irene Vandervoort, who works at Penguin, created the cover for my book (and I think she did a great job). I want to write a book too, do you have any advice? My advice for writing a book is similar to my advice about making a difference in the world: Find something you care a lot about, get as informed as you can about that topic, figure out what you want to say about it, and then work hard, a little bit at a time, until you’ve written down everything that’s important to you. While writing can be sometimes solitary (meaning you have to do a lot just on your own), creating a book is also a team sport. Talk to your teachers, parents, friends about your ideas or what you’ve written and get their input and advice. How can I set up an interview with Chelsea? Please contact the Penguin Young Readers publicity department at itsyourworldpublicity@penguinrandomhouse.com for any questions about interviews, media or appearances. 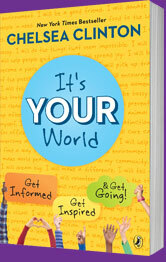 Are there press materials available for It's Your World? Click here to download the cover image. 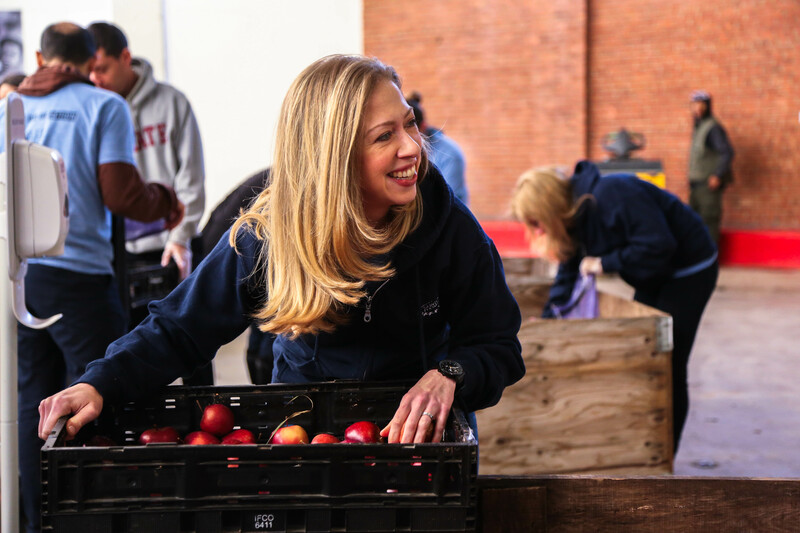 Click here to download a photo of Chelsea Clinton. Click here for a press release about the book. Click here for a letter from the editor. How can I contact Chelsea? Does Chelsea do school events? During her book tour in fall 2015, Chelsea will visit schools, bookstores, libraries and conferences. Click here for the full schedule. She hopes to be able to speak with more young people in the future, but her schedule for 2016 and beyond hasn’t yet been set. All book-related appearances are scheduled in conjunction with Penguin Random House.